Hungarian cinematic masterpiece Sátántangó is set to be re-released in theatres some 24 years after it first premiered. The project is being led by Los Angeles film distributor Arbelos, who are already working on a 4K restoration of Béla Tarr’s 1994 masterwork. The newly-restored film is slated to be shown in cinemas in early 2019, followed by the movie’s first ever Blu-ray/VOD release. Spanning an impressive 432 minutes, Sátántangó follows a group of Hungarian villagers waiting for a final payout before abandoning their collective farm. Their plans are thrown into disarray with the appearance of a former villager they had long assumed dead. 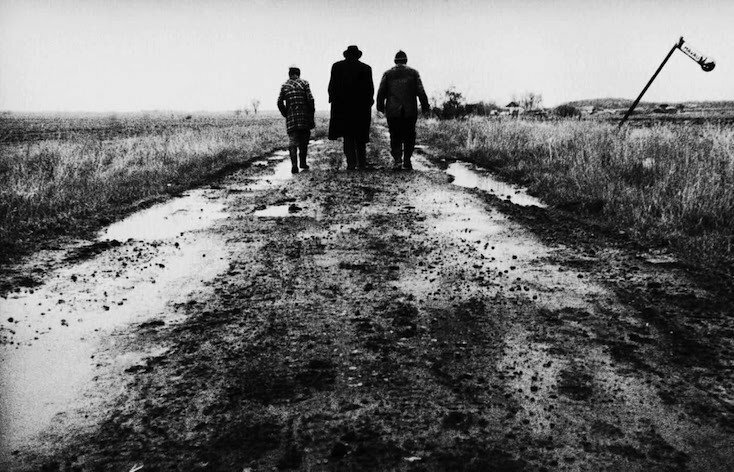 Shot entirely in black and white on a 35mm film, the Hungarian film has long been lauded by critics for its compelling story and the unwavering cinematographic beauty of its long, uninterrupted shots — some of which last for upwards of 10 minutes. The movie was named the 36th greatest film of all time in the 2012 edition of Sight & Sound’s critics’ poll, and the 65th best film of the 1990s by Rolling Stone magazine.